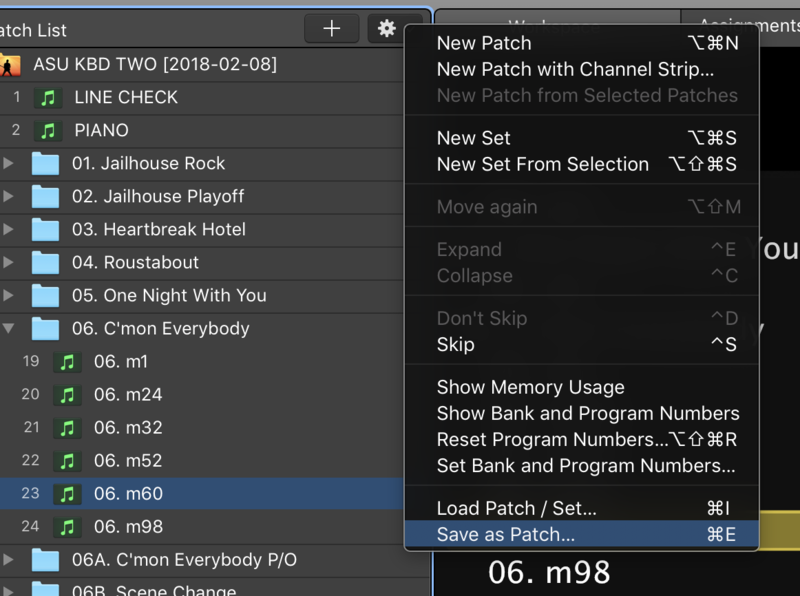 When doing keyboard programming using MainStage, it’s often much easier and more convenient to share individual patches and sets rather than uploading an entirely new concert if it’s necessary to add incremental updates to the file. This is especially true when collaborating over long distances. In this tutorial, we’ll look at how to collaborate using this method. 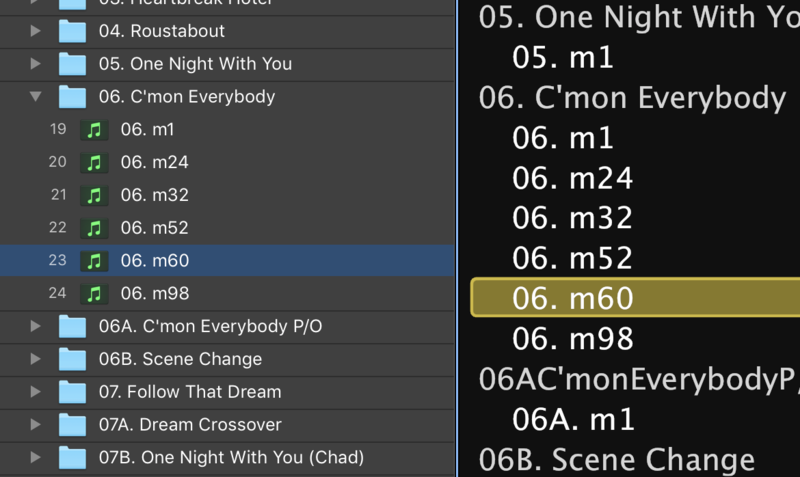 In this example, we’ll assume that the music team has requested an edit to the patch that corresponds with song #6, measure 60. Note that if new samples are needed, it will be necessary to address how to import a new EXS24 instrument, which will be covered in a separate tutorial. For this purpose of this tutorial, we’ll only be working with sounds and channel strips that are already present in the current concert. Export the patch to be shared: In EDIT Mode, highlight the patch that needs to be shared. 3. 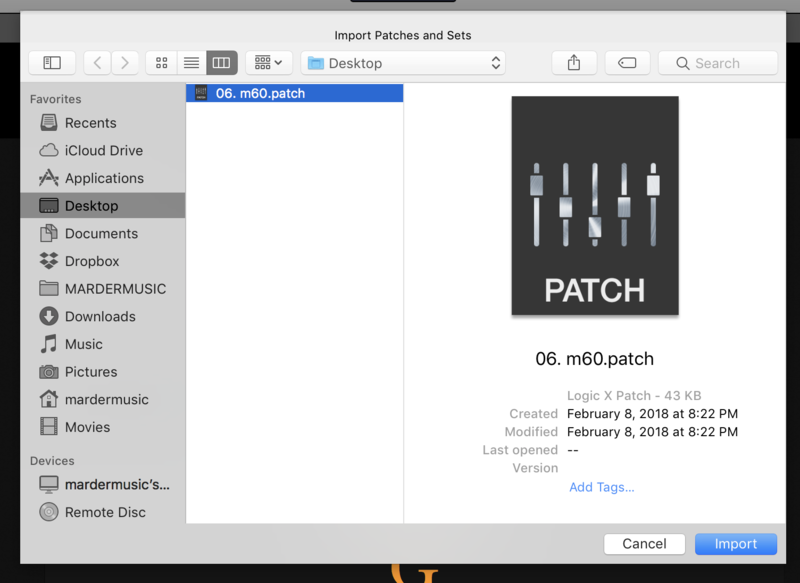 Save the patch to desired location to transfer via drive, email, or upload. 4. 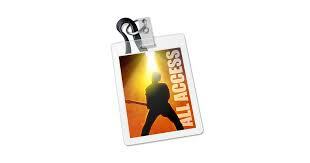 Open concert on show computer. 6. Navigate to the patch that will be imported and select it. The patch will load into the current patch sequence. It’s that easy! This is a great way to send and receive keyboard programming updates that are very minor without having to send a whole new concert.